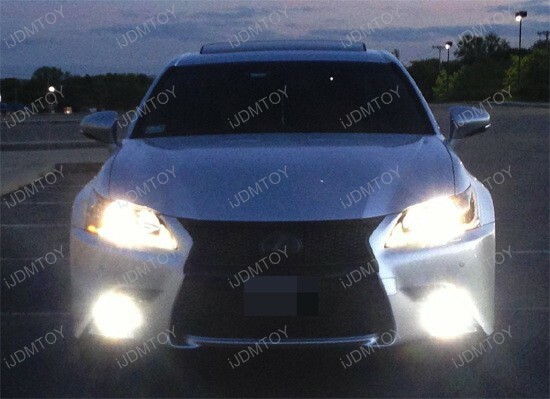 The owner of this awesome 2013 Lexus GS350 took these pictures with his cell phone right after upgrading his stock fog lights with the H11 LED Fog Lights from iJDMTOY. We know the pictures are kind of blurry, but you can clearly see how bright these LED bulbs are, compared to the stock DRL and stock HID headlights. 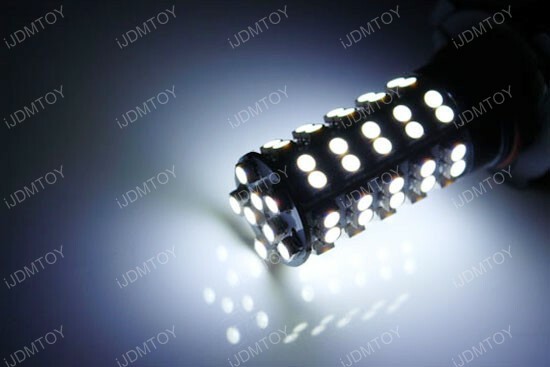 The brightness you see is thanks to the revolutionary design, that combines extremely bright CREE Q5 high power LED on the top with magnified optical lens with 12 pieces 3-Emitter 5050 SMD LED lights around for an awesome output and performance. 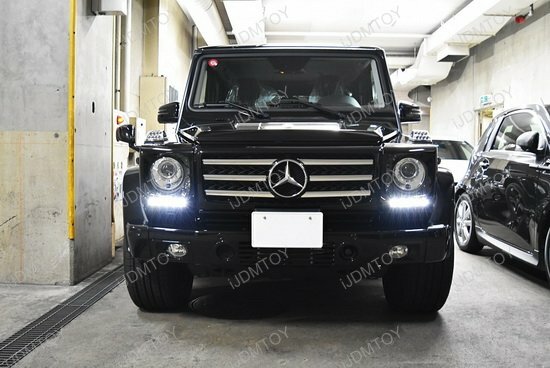 But don’t worry about generating too much heat and damaging the GS’s fog light enclosure, as well as blinding oncoming traffic, too, because iJDMTOY products are high-end top class. 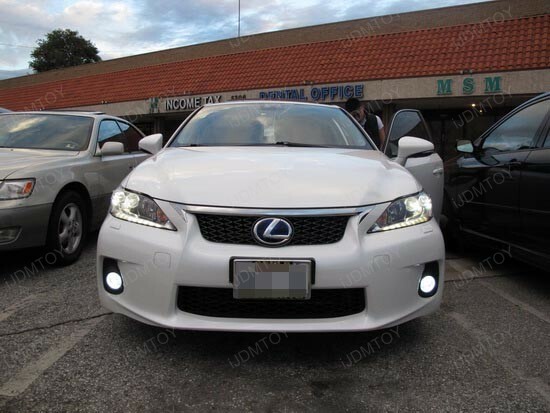 You don’t have to be automotive guru to change the ugly yellowish stock fog lights and upgrade to Lexus LED Fog Lights. You can do it simply by turning the wheels to full right in order to change the left fog light and vice versa. This way you can gain access to the two fender clips in the wheel well. Access is achieved within 1-2 mins. Take the clips out and one screw out from the bottom, then roll the cover out and you’ll see the fog lights bulb assembly. Replace the halogen bulb with the H11 LED one and before put back all together and do the same for the other fog lamp, test whether lights work! 2013 Lexus GS350 is the fourth generation of the company’s mid-range sedan, that is the standard-bearer of Lexus’s new, more passionate approach to the premium-car market and the featured H11 LED Fog Lights are very nice add-up to the overall performance look. 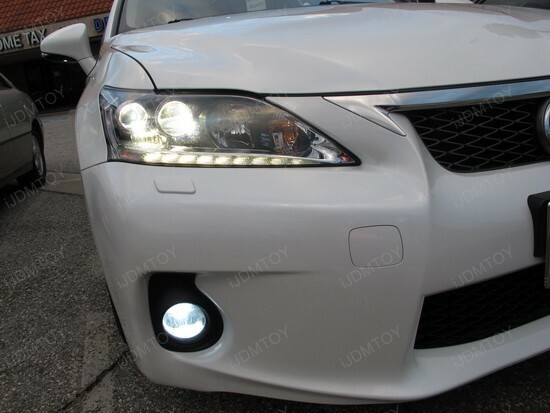 Why paying for expensive HID fog lights when you can get super bright HID matching Lexus LED Fog Lights with 20000 working hours lifespan for just a few bucks? Visit iJDMTOY store and search for this amazing product that will boost your overall car look! 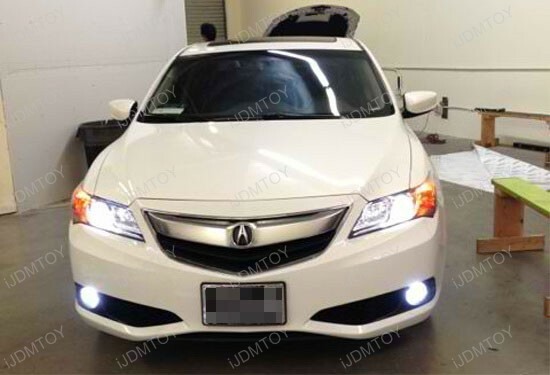 This 2013 Acura ILX introduces a more refined design language for the marque with H11 LED Fog Lights that are great addition to the scalloped headlights, equipped with 6000K D2S HID bulbs. Such small customization matches perfectly to the luxury headlights and if you take a good look at the pictures, you’ll notice the CREE powered H11 LED bulbs emit almost the same output and look comparing with the 6000K D2S HID bulbs on the top. The featured H11 LED bulbs take an innovative approach to LED lighting by offering 5W High Power CREE Q5 LED plus 12 pieces SMD-5050 LEDs. 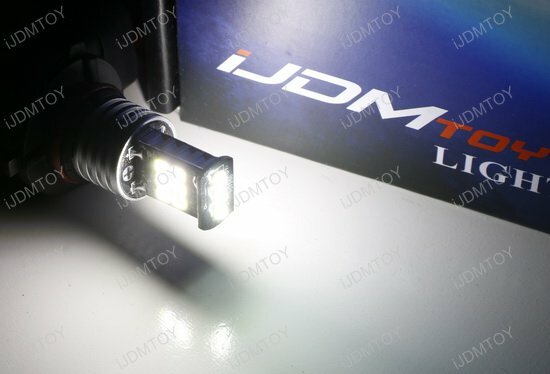 Don’t be fooled, these iJDMTOY bulbs are brighter than multi LED units sold on many other places – the revolutionary design includes magnified optical lens on the top for incredible output! Because of the lens, LED bulb diameter is 0.78", which is slightly bigger than stock bulb, so the housing opening should be measured before replacing the stock ones. However, these high quality LED bulbs are designed to mount in existing housings taking H11 or H9 type bulbs and shine in Xenon White 6000K color. 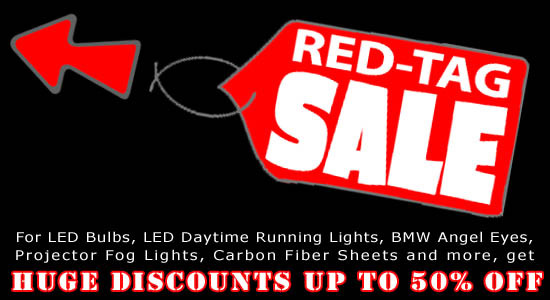 Such mod will cut your costs if you want HID matching fog lights or DRL without paying for HID kit. Installation is like taking candy from a baby and will take you just a few minutes. Simply find the original bulbs and replace them with these beautiful LED bulbs. For some European vehicles like Audi, BMW, Mercedes, etc. which have on board computers (OBC) you may need to use our Error Free Decoder Wiring Kit in order to avoid any error message popping up on your dashboard or bulb malfunction problems. Finally, step back and enjoy the whole new fresh look of your lovely car. 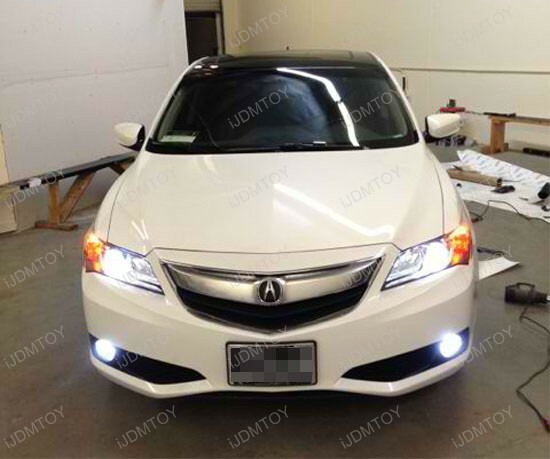 Today’s 2013 Acura ILX seems to be treated with taste, care and love, which resulted in having these amazing H11 LED Fog Lights from iJDMTOY installed. It’s good to know LED bulbs are longer-lasting and consume less power than conventional halogen units. After all, less consumed power means improvement in fuel economy, which is a key factor nowadays. And at last, but not the least, such powerful Fog Light LED bulbs increase your safety by making the car more visible from greater distance. 2010 Porsche Cayman is one of the few cars that you can buy with your heart and your head, but if you want some more style, then go for H11 LED Bulbs for fog lights. Check out the lovely HID headlights and LED Fog Lights combination in addition to the small LED running lights stolen from the latest Audi, that adorn the front lower grills – this ride can literally leave you speechless. The super bright 68-SMD LED bulbs will definitely make this car more visible in bad weather, thus safer and sleeker. 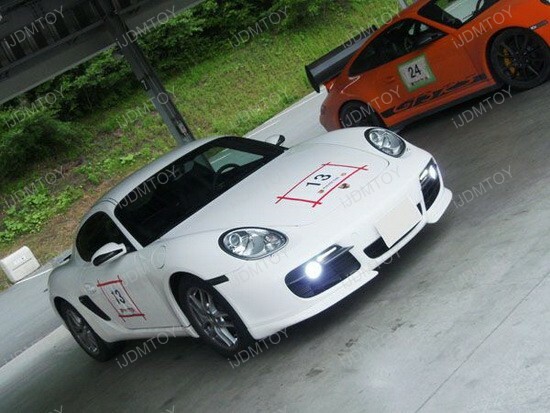 The stock 2010 Porsche Cayman comes with yellowish fog lights, that are everything else, but not nice. If I had a vehicle like that, I’d plug in the new H11 LED Bulbs right on. Actually, I think that this upgrade should be included in the standard equipment, considering the fact that LED bulbs are longer-lasting and consume less power than conventional halogen units. After all, less consumed power means improvement in fuel economy, which is a key factor in such sports car. Anyway, even if you don’t own Porsche Cayman, this H11 LED bulb is direct replacement for OEM H11 (H8) halogen bulb and could be used for fog lights or daytime running lights in any other vehicle. Installation is a piece of cake, because you have to find the original bulbs and replace them with these beautiful LED ones. However, for some vehicles like Audi, BMW, Mercedes, etc which have on board computer, gathering information about lights, you might need to add a pair of Error Free Decoder Wiring Kit, which will solve any issues. 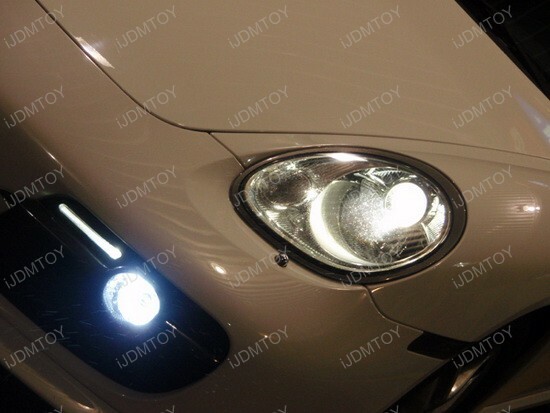 Even this 2010 Porsche Cayman needed some small add-on to turn it into a head-turner – the LED Fog Lights. 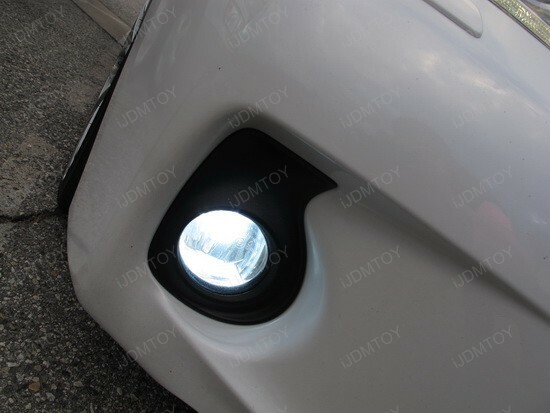 It’s well-known that all fancy options offered by Porsche can drive the price skyward quickly, so you don’t have to purchase expensive HID products, when you can get the same effect with the featured H11 LED Bulbs from iJDMTOY for a fraction of the price. 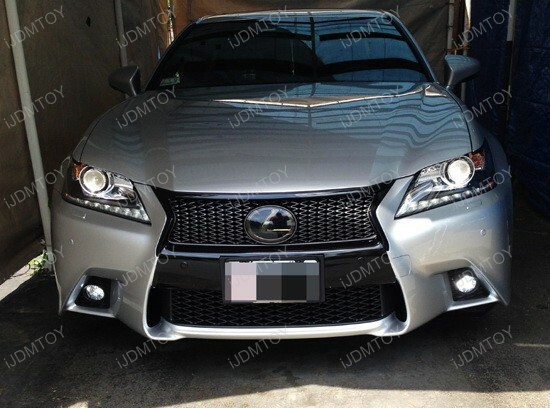 This 2011 Lexus CT200h is Lexus’s fifth hybrid offering and the first one with H11 LED Bulbs installed on the fog lights. 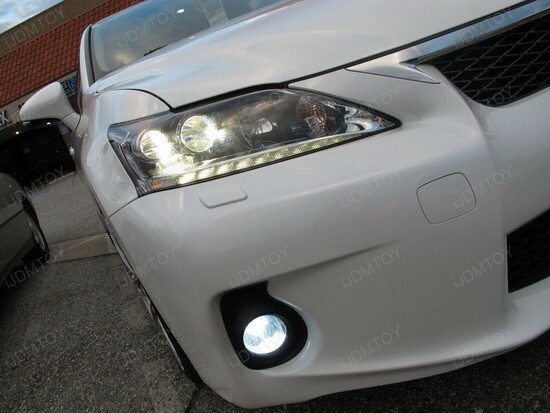 This small customization matches perfectly to the luxury headlights, that come with twin LED low beam lamps. In fact, the Lexus CT 200h has the largest number of external LEDs yet fitted to a Lexus model – 89 in total. The owner got rid of the dull yellowish light, emitted from the stock 55W H11 (aka H8) halogen bulbs and replaced them with the more advanced Xenon White 68-SMD H11 (aka H8) Hyper-Flux LED Bulbs from iJDMTOY. 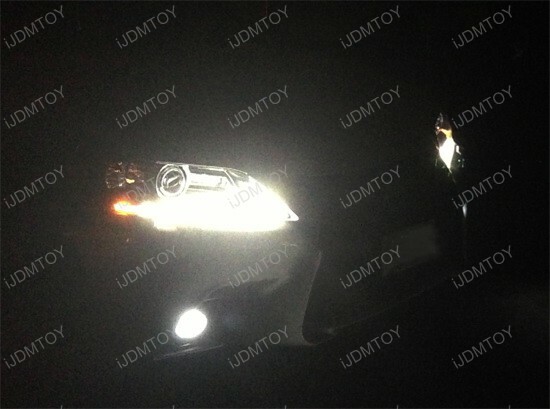 This is how the stunning 6000k HID look of the H11 LED Fog Lights was achieved without paying the HID price. We can’t tell whether this mod should be included in the standard equipment, but considering the fact that LED bulbs are longer-lasting and consume less power than conventional halogen units, we will definitely pick the LED technology. After all, less consumed power means improvement in fuel economy, which is a key factor in such eco-friendly vehicle. Anyway, this H11 LED bulb is direct replacement for the OEM H11 (H8) halogen bulb and could be used for fog lights or daytime running lights. Installation is very easy: simply find the original bulbs and replace them with these beautiful LED bulbs. For some European vehicles like Audi, BMW, Mercedes, etc. which have on board computers (OBC) you may need to use our Error Free Decoder Wiring Kit in order to avoid any error message popping up on your dashboard or bulb malfunction problems. 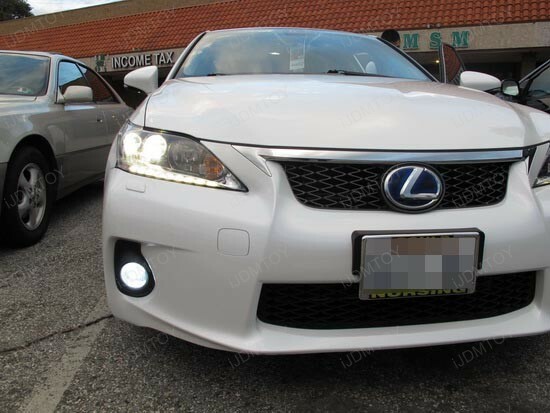 As you can see, these H11 LED Bulbs are perfect add-up to the fully LED equipped 2011 Lexus CT200H and give it a sleek high-end HID look. Why spending more money on actual HID kits, when you can get the same elegant appearance for less? Treat your ride the way it deserves, just like the owner of this one does, and enjoy everyone’s admiration.